Today I have a fun interactive card to share with you. I usually give money to the older kids in our family for Christmas - there is no way I could choose appropriate gifts for them! So I need interesting ways to present money… and today's card fits the bill. 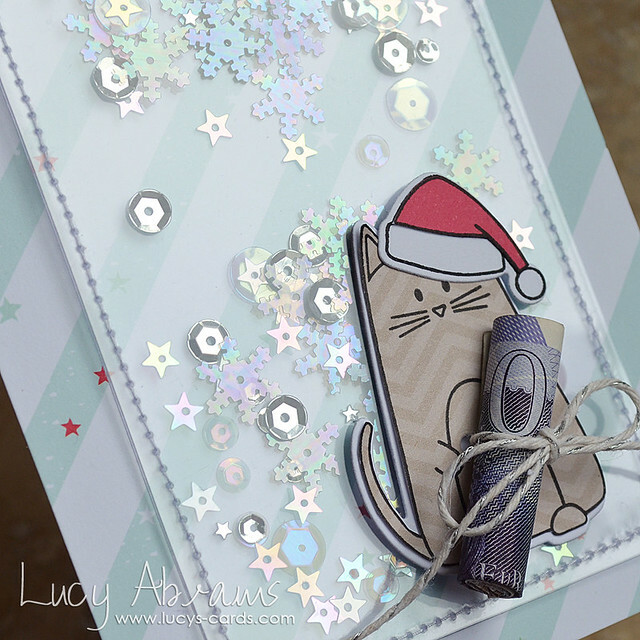 First, I created a shaker tag using some Hero Arts acetate tags and some of my new Sparkle and Shine Shaker Selection (available in my shop and on its way to Simon Says Stamp right now!). I simply stitched two tags together, leaving a gap at the bottom, then added the shaker mix and finished the stitching. Once the money is tied in place, it looks just like my little kitty is holding onto it. Wow! Love this gift card. Ingenious the way you attached the money and the tag itself is just lovely. I absolutely love this ! such a fun card! Super cute! I love how the kitty looks like he is holding the money. I love your shaker collections too. Such beautiful color combinations! 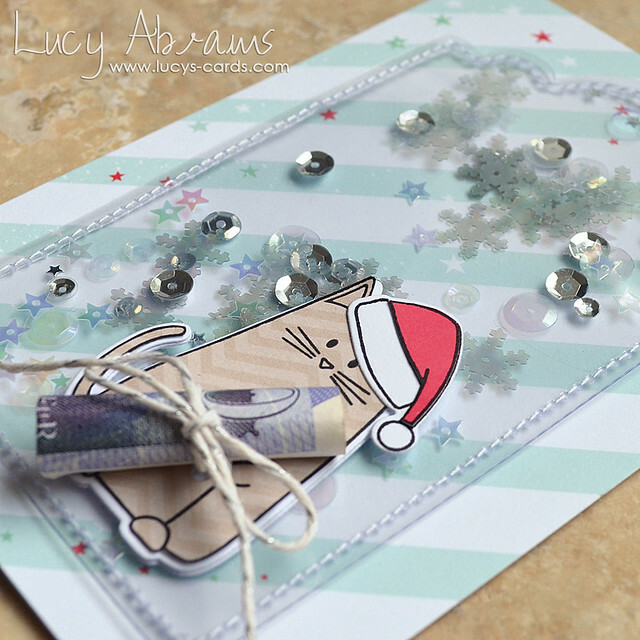 Lucy, thank you so very much for answering my question about attaching the tag to the card. It's one of the prettiest shakers I've seen and the cat holding the money is such a clever idea! You always inspire me. Hugs!